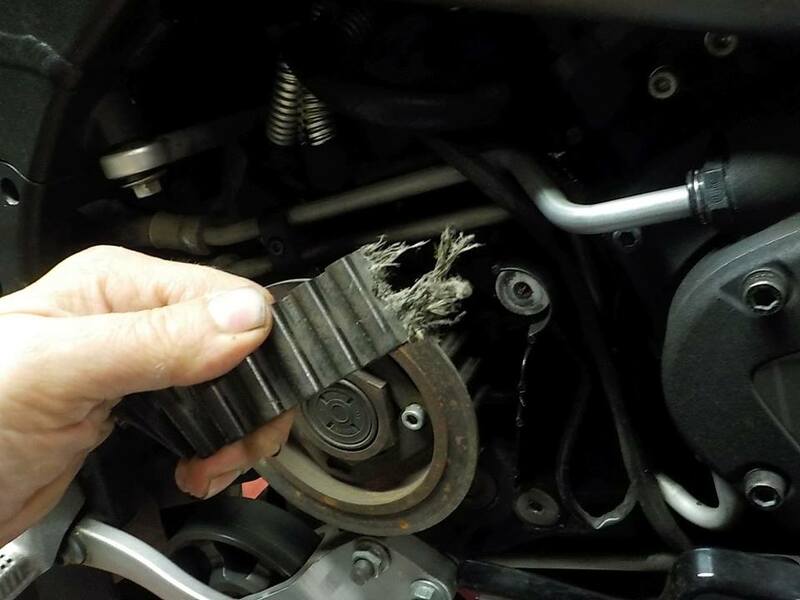 dropped of.. belt is still there — at Twin Motorcycles Buell Support forever. 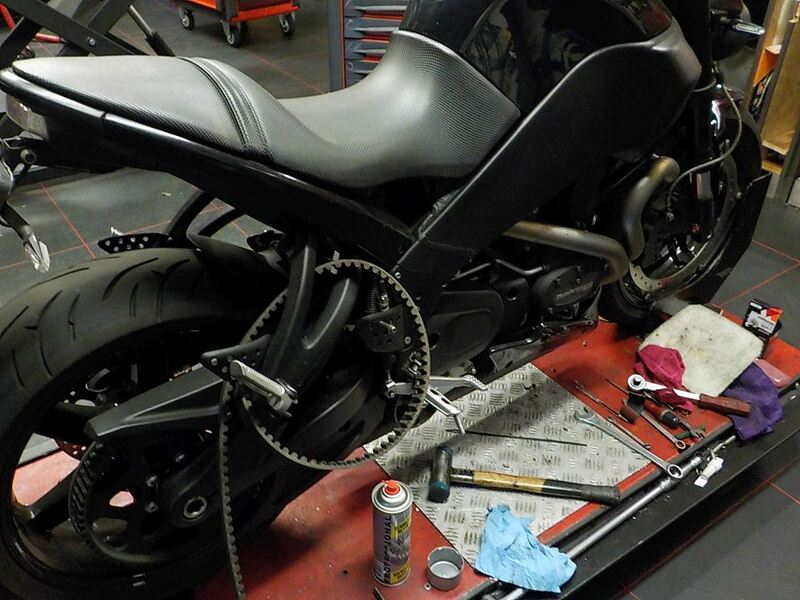 and cover back on .. easy job — at Twin Motorcycles Buell Support forever. 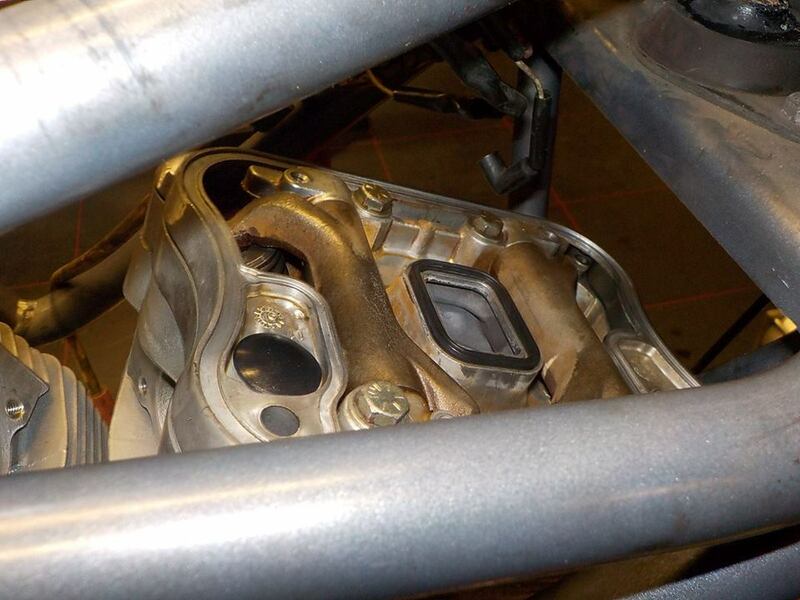 inner airbox and outer airbox on — at Twin Motorcycles Buell Support forever. 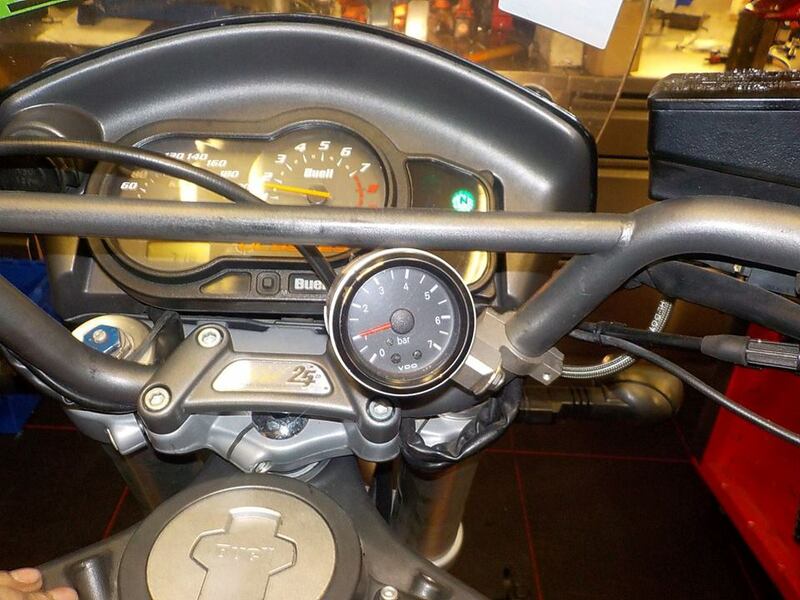 bar end mirrors back on — at Twin Motorcycles Buell Support forever. 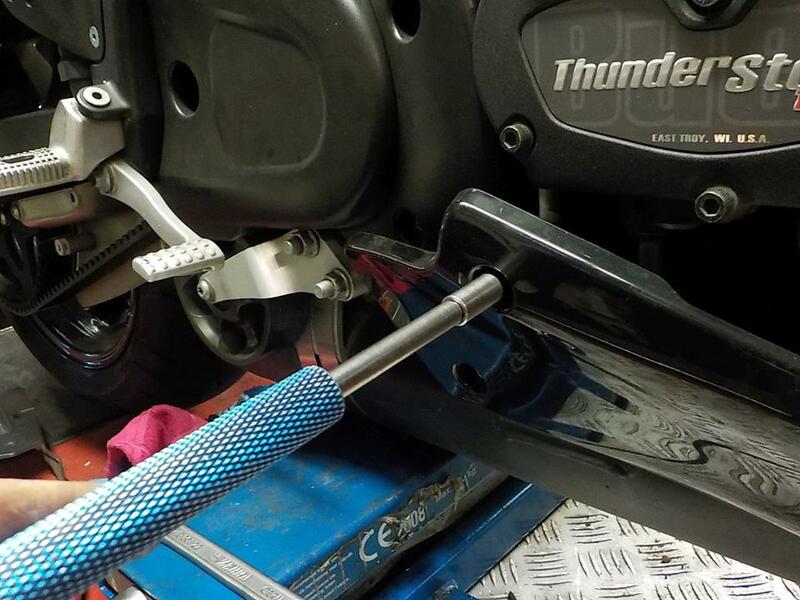 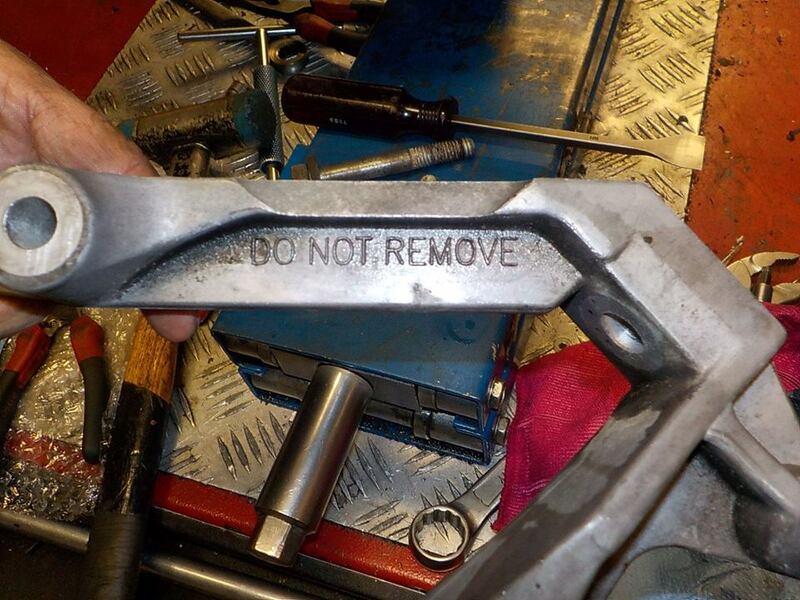 mounting the navigation holder — at Twin Motorcycles Buell Support forever. 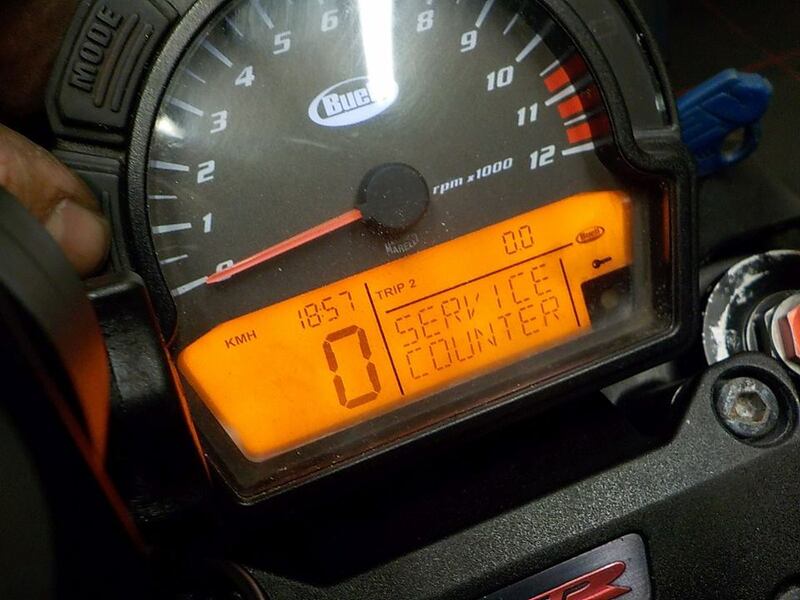 resetting the service counter — at Twin Motorcycles Buell Support forever. 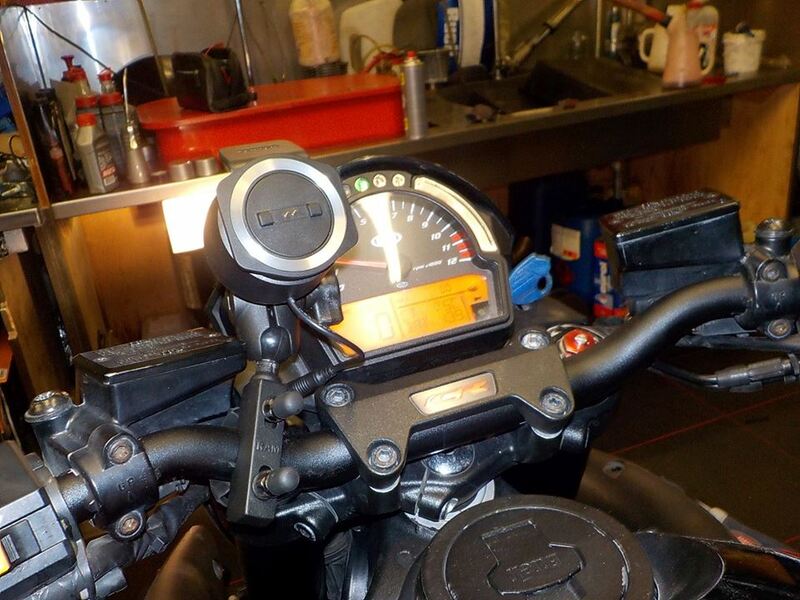 and letting her warm up for test ride.. she rides very nice :-) — at Twin Motorcycles Buell Support forever. 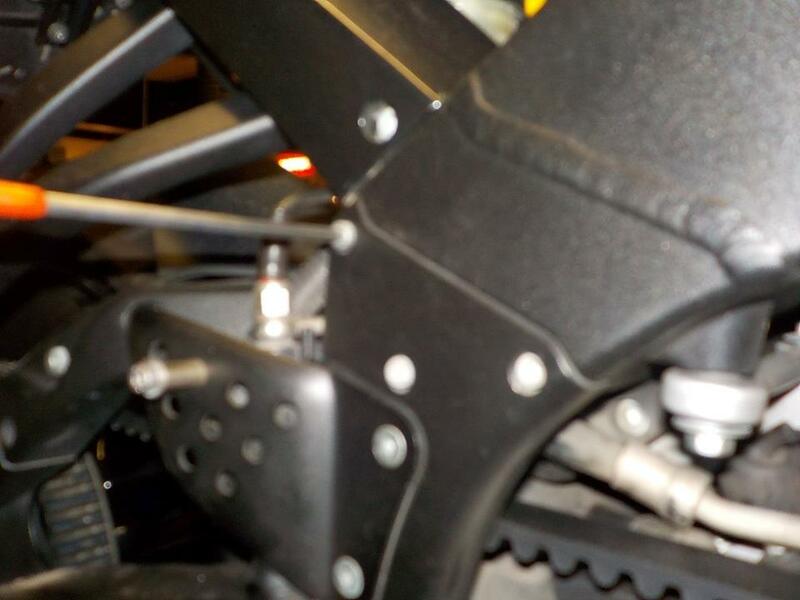 on with the S3/.. new 1250 kit on — at Twin Motorcycles Buell Support forever. 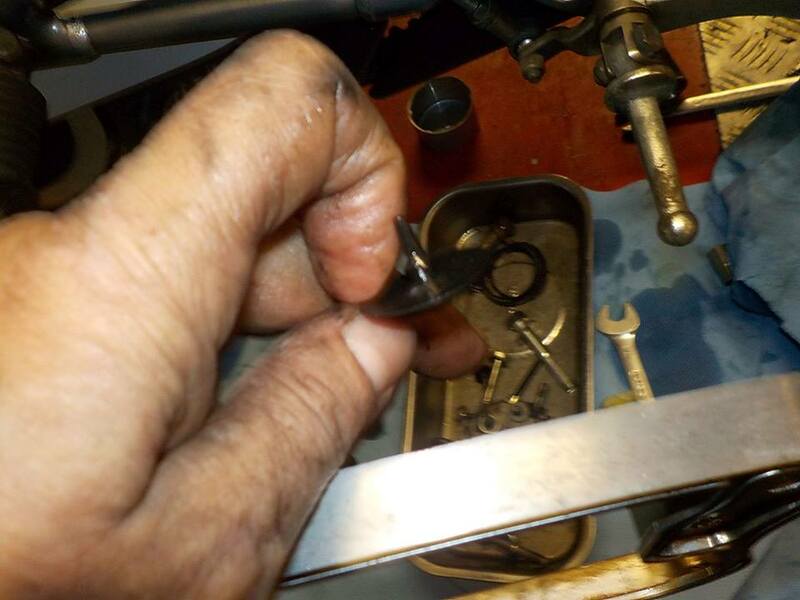 removing the old piston pin clips — at Twin Motorcycles Buell Support forever. 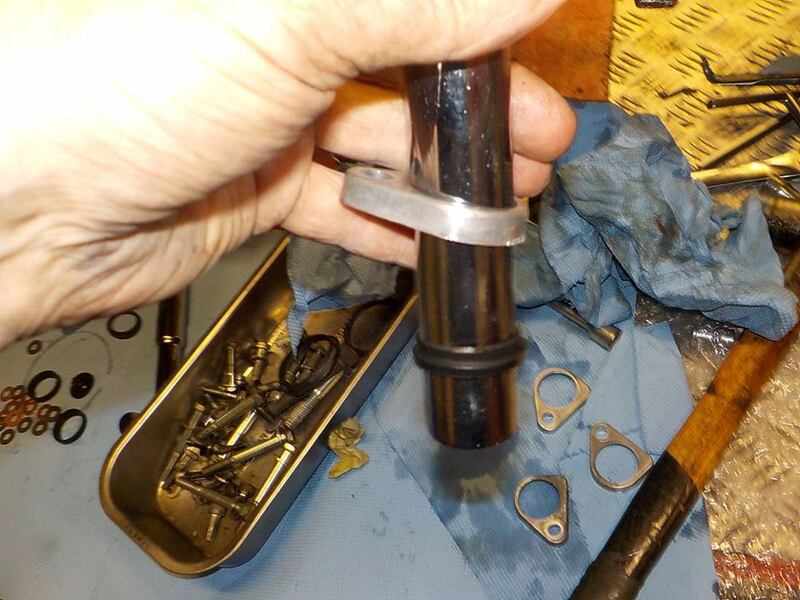 best to use a puller so you don't stress the rod bearings — at Twin Motorcycles Buell Support forever. 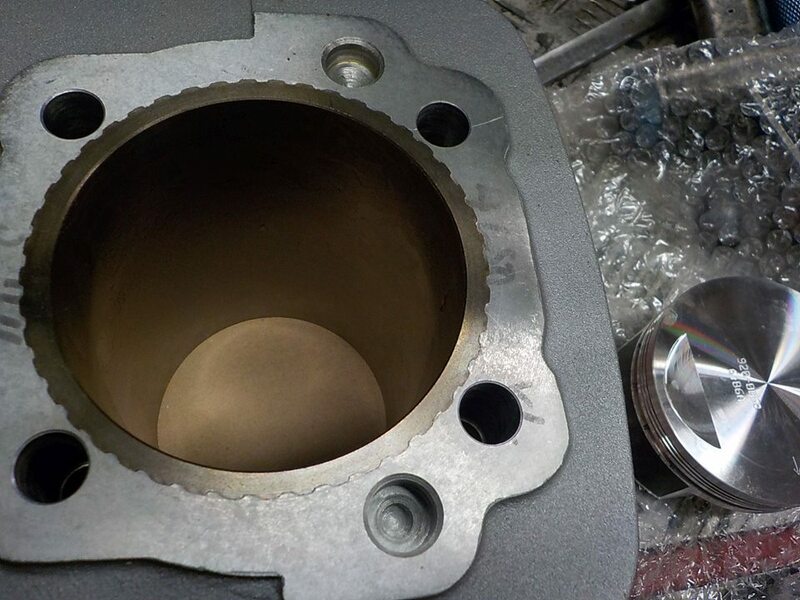 for the customer.. ashtrays ? 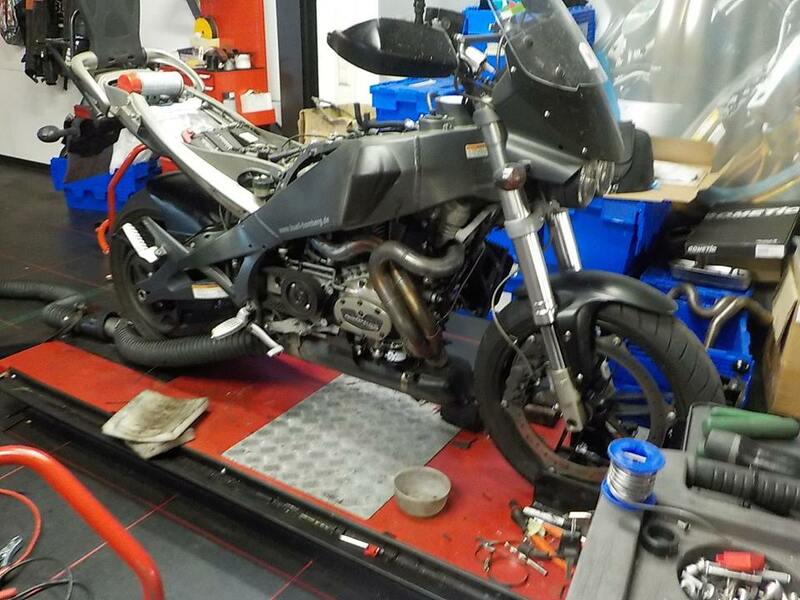 — at Twin Motorcycles Buell Support forever. 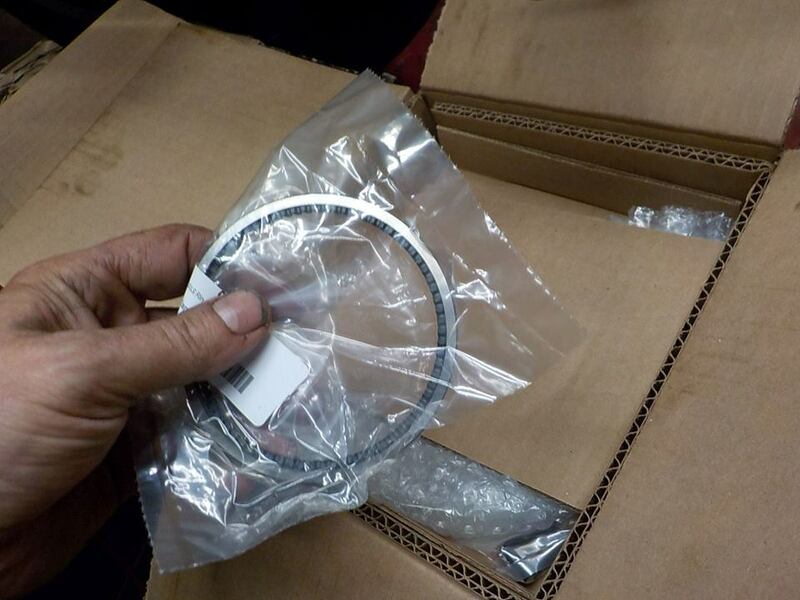 box of goodies — at Twin Motorcycles Buell Support forever. 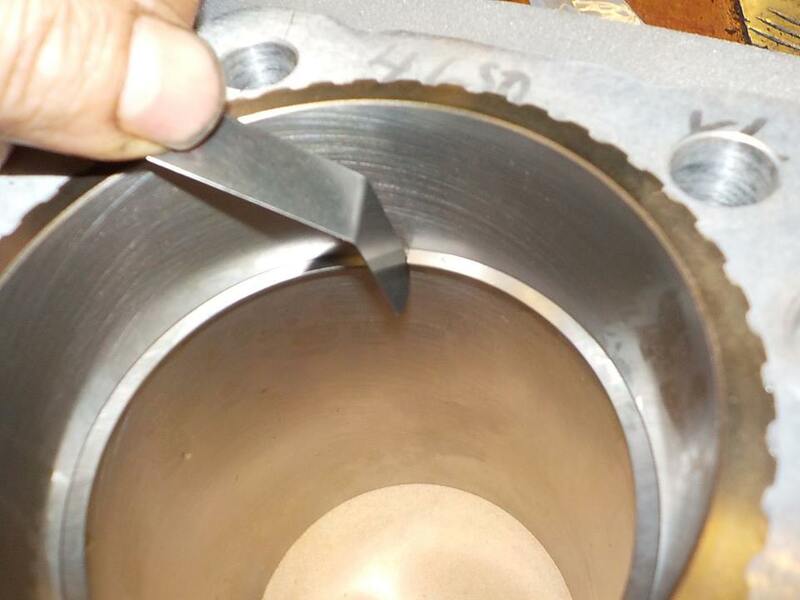 typical cylinder S&S .. this will never come loose — at Twin Motorcycles Buell Support forever. 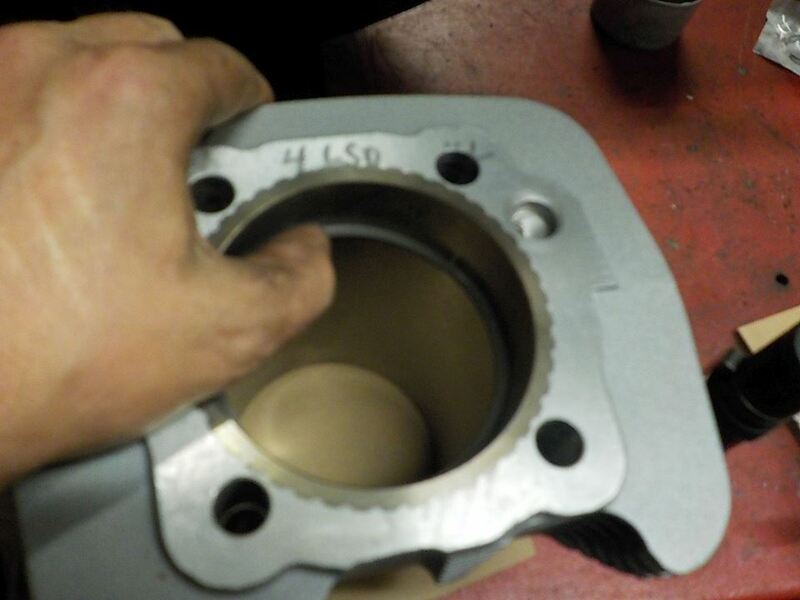 base gaskets on the case , before i forget these — at Twin Motorcycles Buell Support forever. 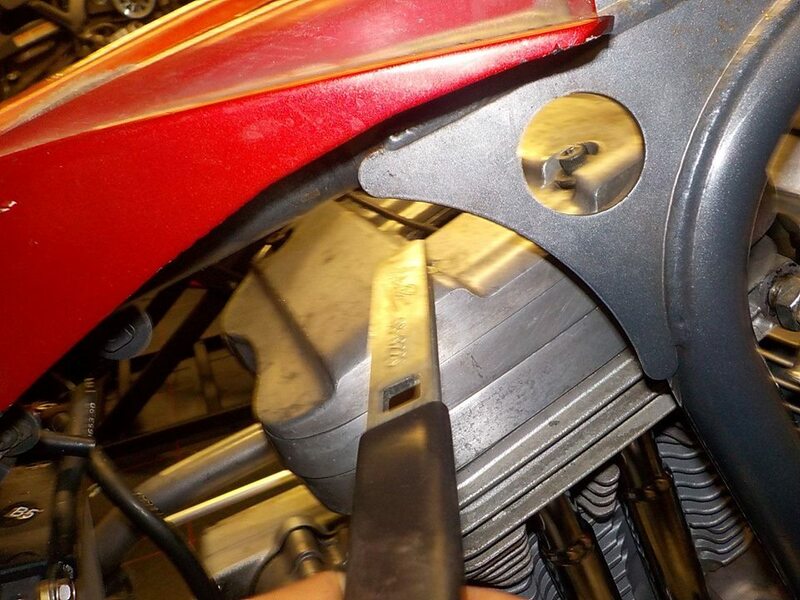 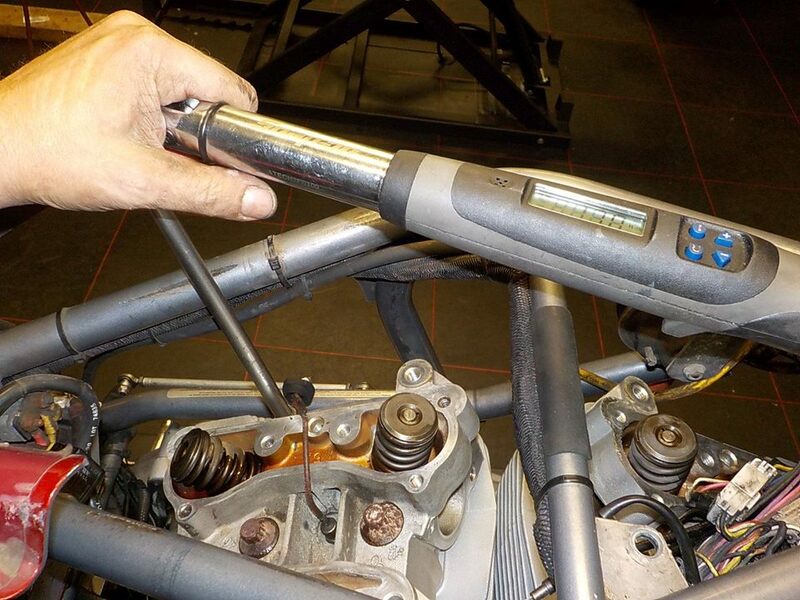 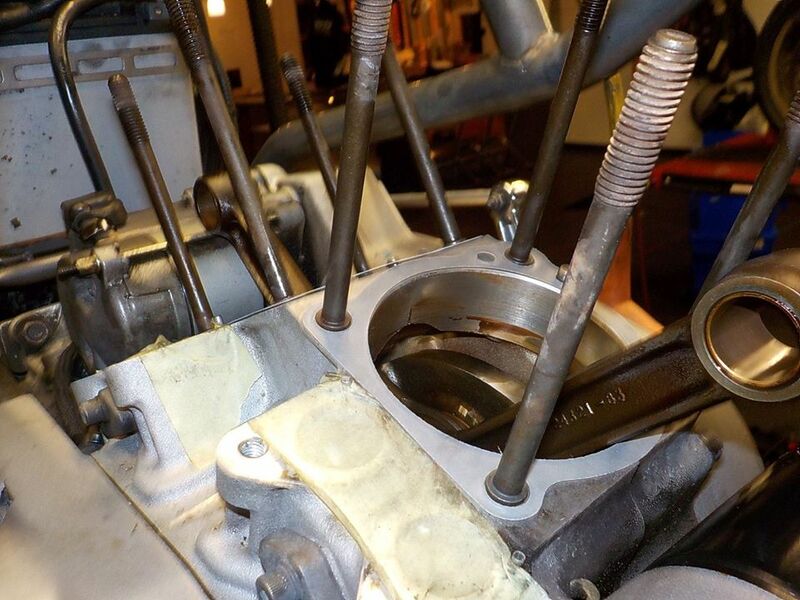 checking the ring gap — at Twin Motorcycles Buell Support forever. 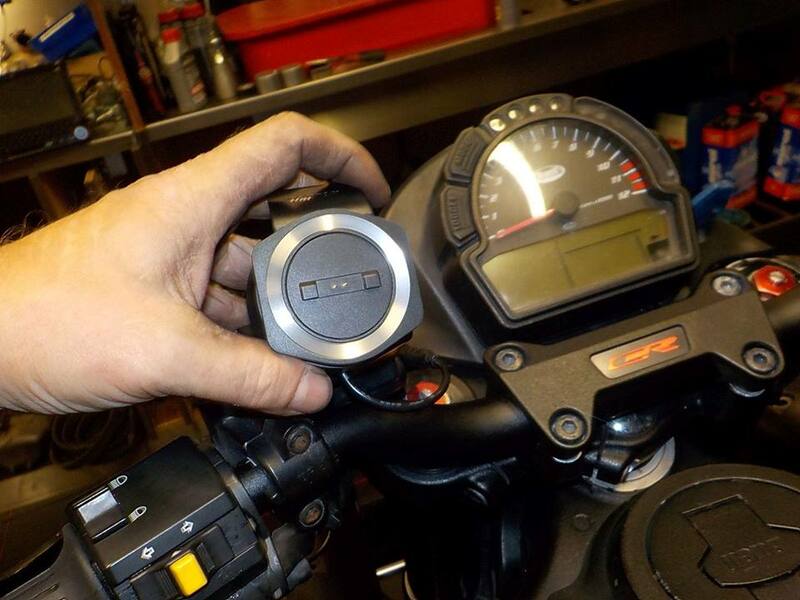 set comes with a manual — at Twin Motorcycles Buell Support forever. 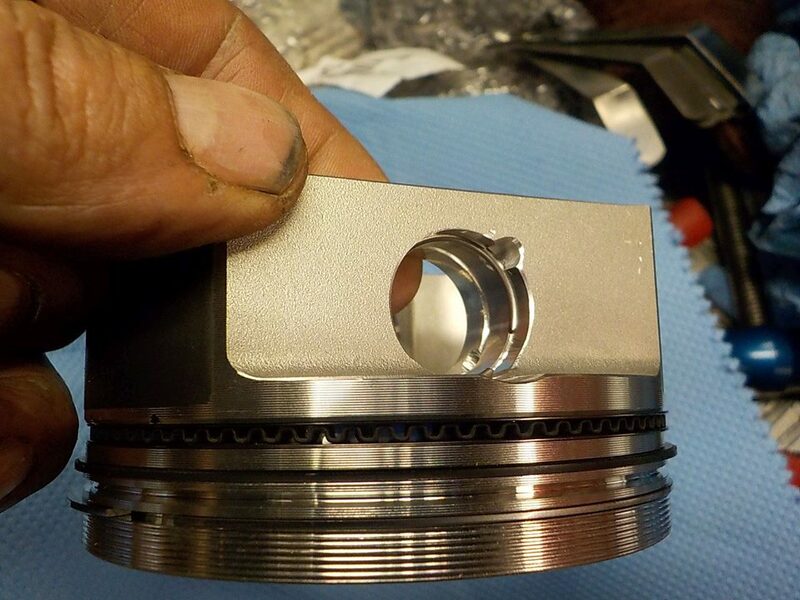 rings on.. and 1 piston pin mounted — at Twin Motorcycles Buell Support forever. 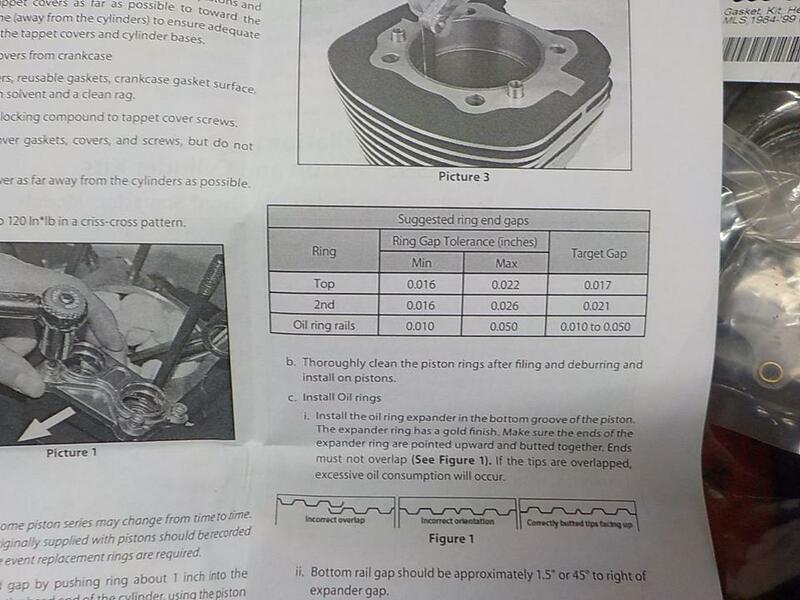 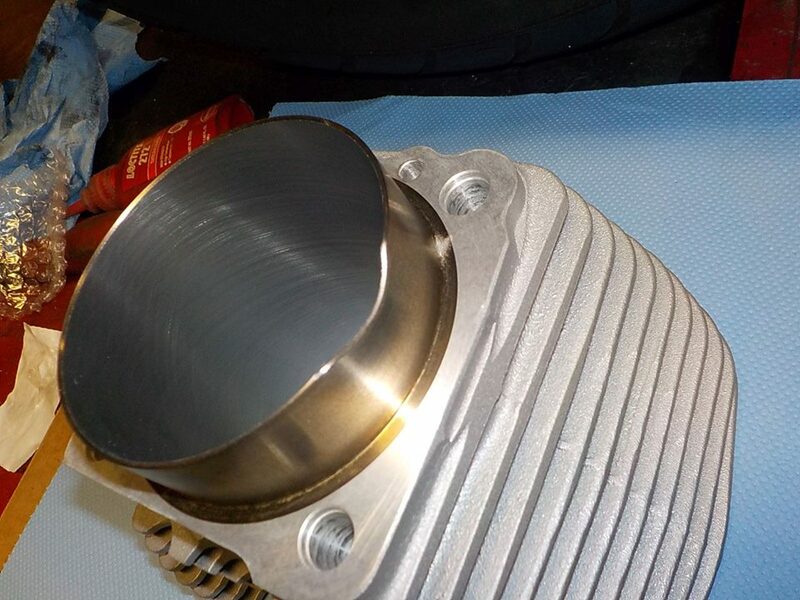 2e cylinder check the gaps — at Twin Motorcycles Buell Support forever. 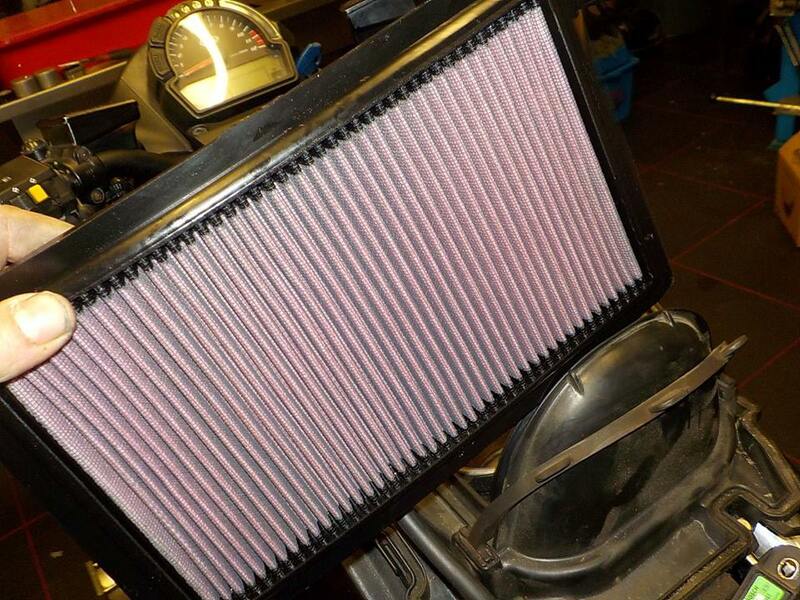 clean in hot soapy watter.. clean rags should go trough theme.. and don't pick up any dirt — at Twin Motorcycles Buell Support forever. 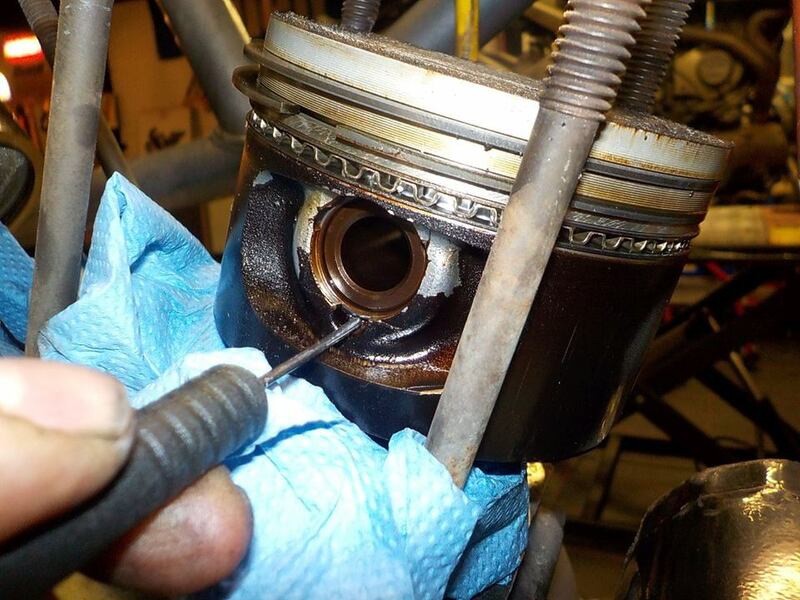 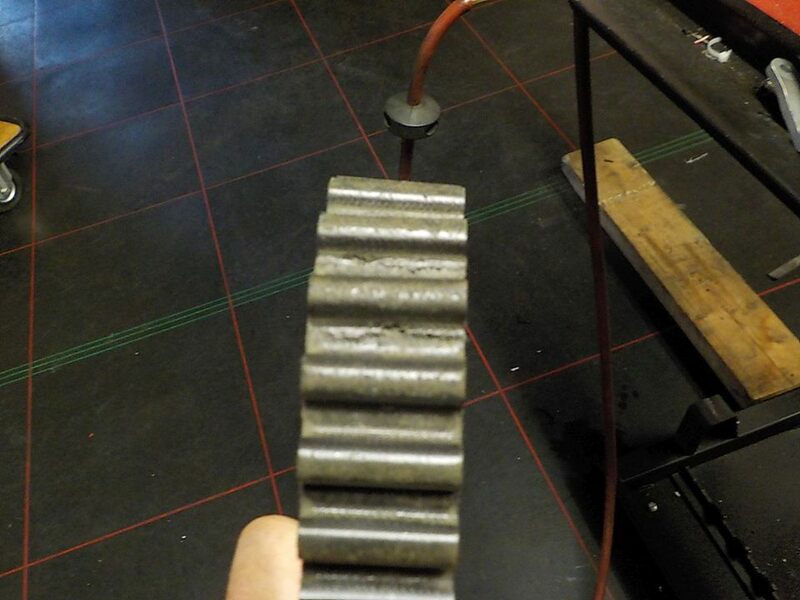 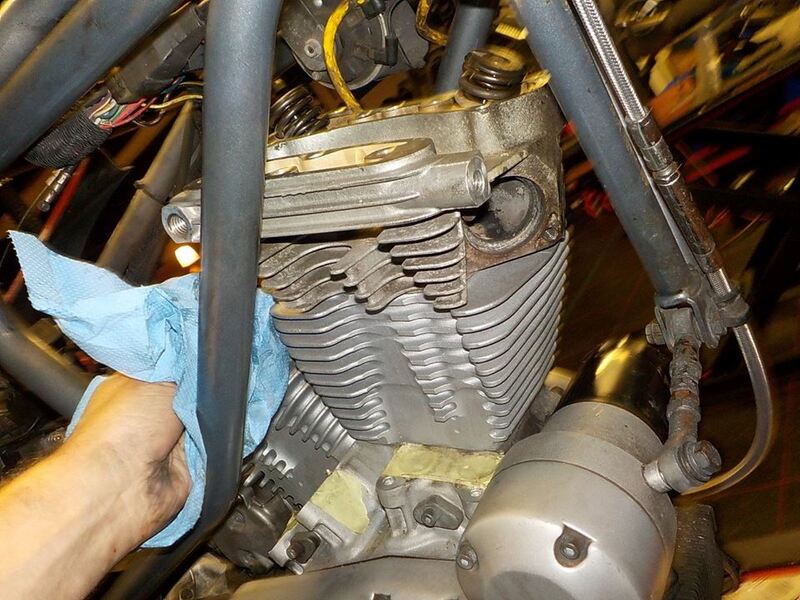 piston pressed in the cylinder.. and piston rod in position for the piston — at Twin Motorcycles Buell Support forever. 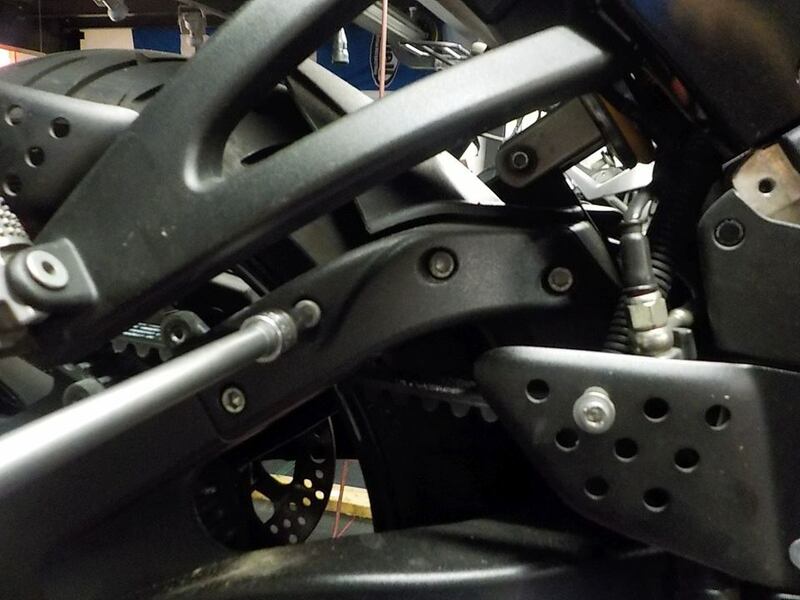 rear cylinder on.. hold downs mounted so the cylinder will not be banging on the case — at Twin Motorcycles Buell Support forever. 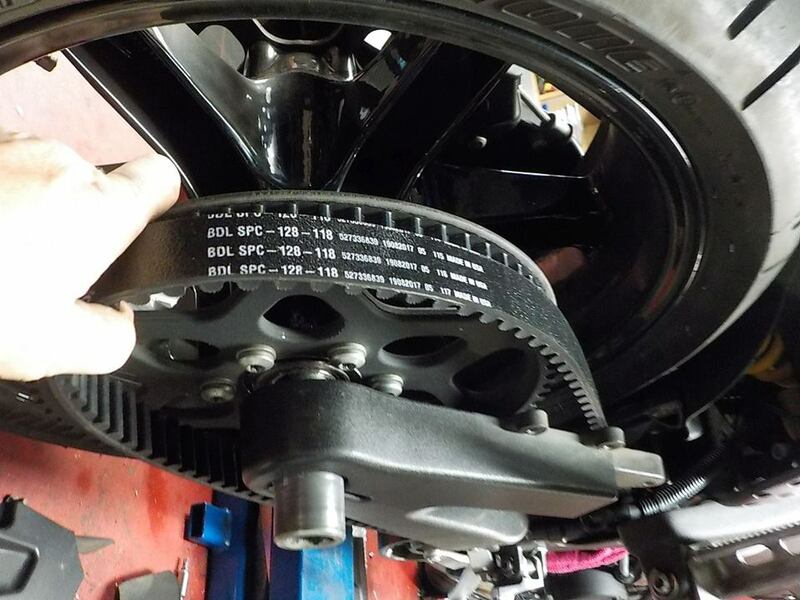 front one on — at Twin Motorcycles Buell Support forever. 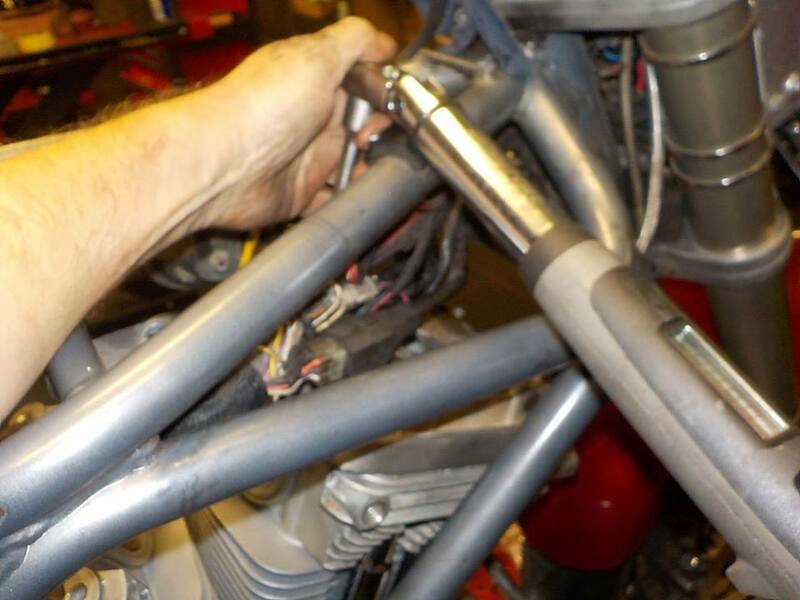 dowls tapped in — at Twin Motorcycles Buell Support forever. 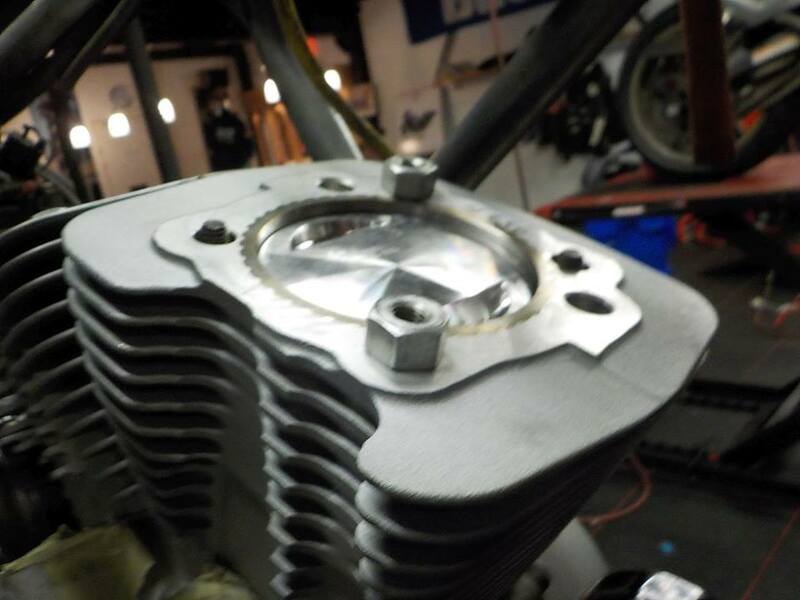 start with the front head... — at Twin Motorcycles Buell Support forever. 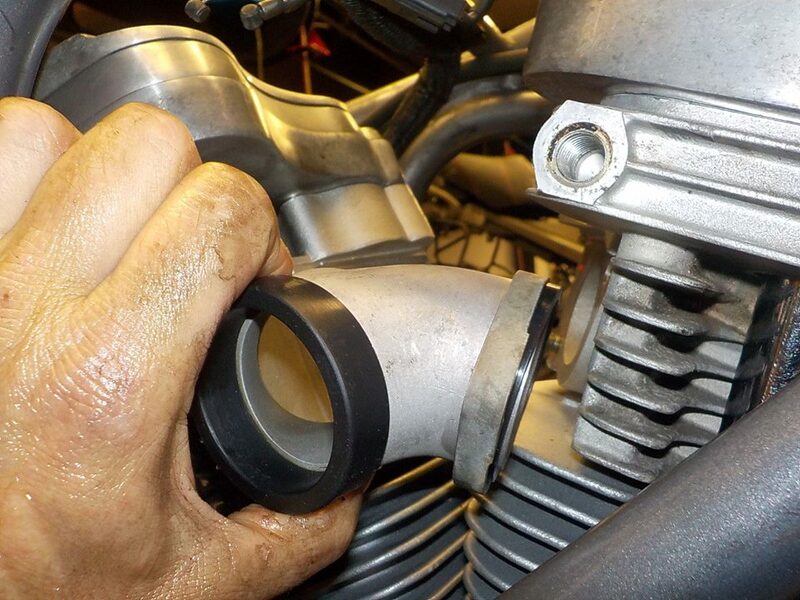 and start tightening the headbolts — at Twin Motorcycles Buell Support forever. 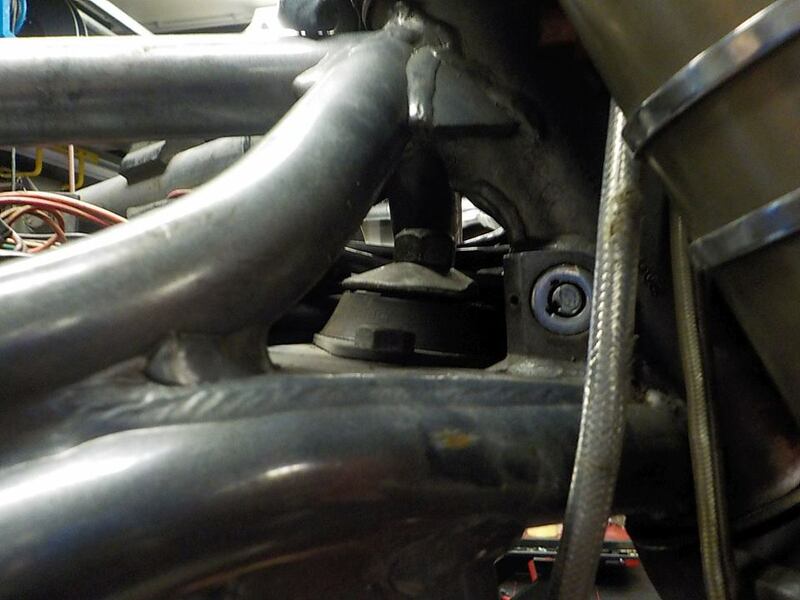 these call for a tighen and loosen procedure.. 12 ft/lbs-17 ft/lbs and 90 deg.. as my wrench give not only the angle but also the TQ needed to get to that angle.. you can see very good the 1e tighening only came to 35 ft/lbs final.. the 2e tighening got to 43 ft.lbs ( what is the normal range for the 90 deg tightening methode ) — at Twin Motorcycles Buell Support forever. 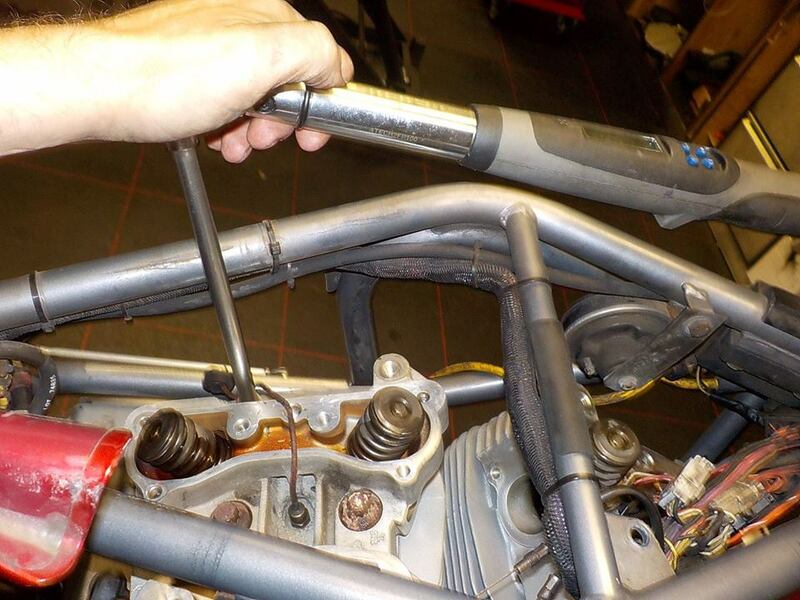 pushrod covers on.. drop off oil on the rubbers helps with mounting — at Twin Motorcycles Buell Support forever. 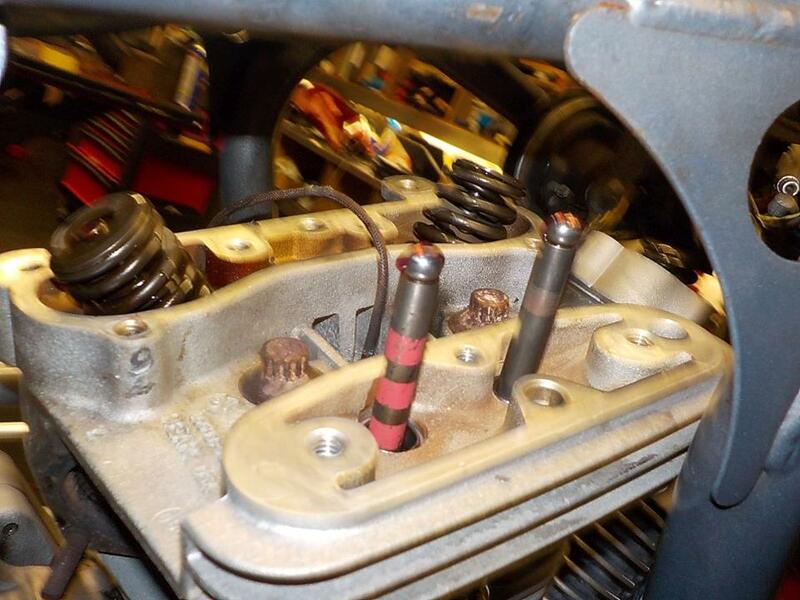 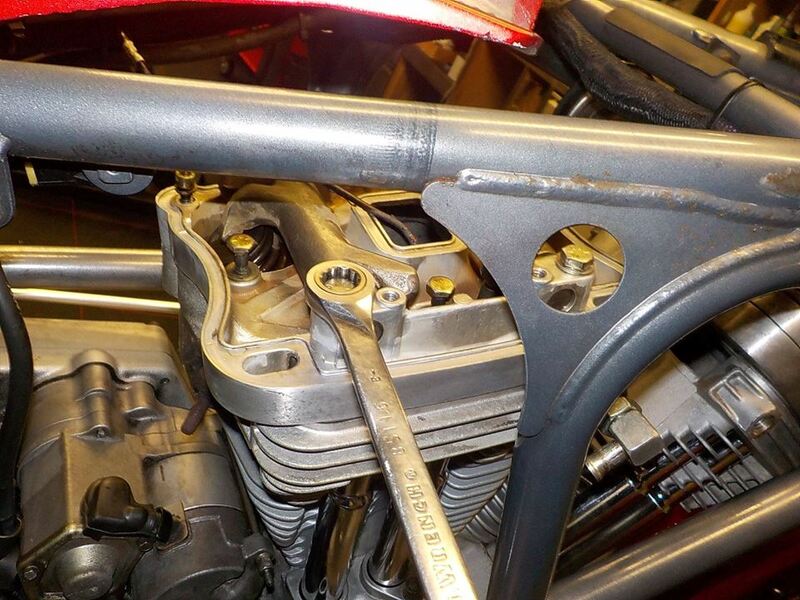 pushrods in — at Twin Motorcycles Buell Support forever. 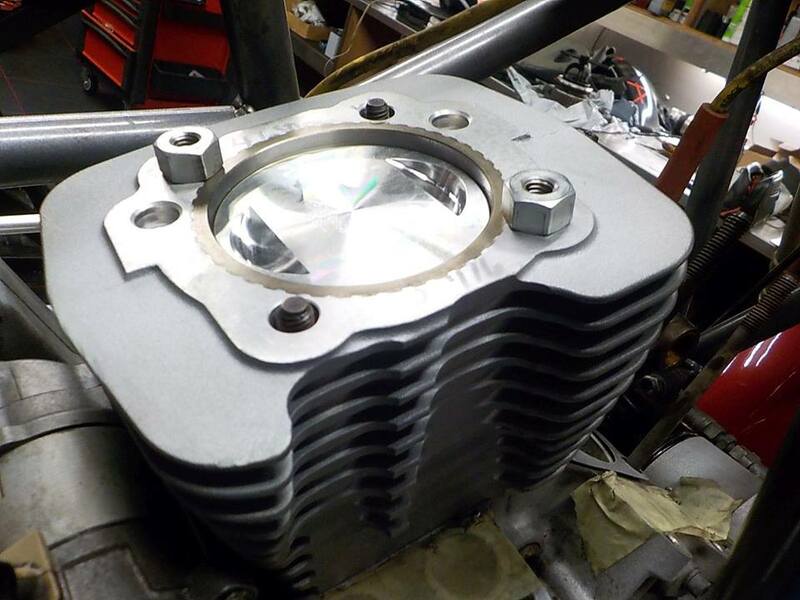 rocker boxes on — at Twin Motorcycles Buell Support forever. 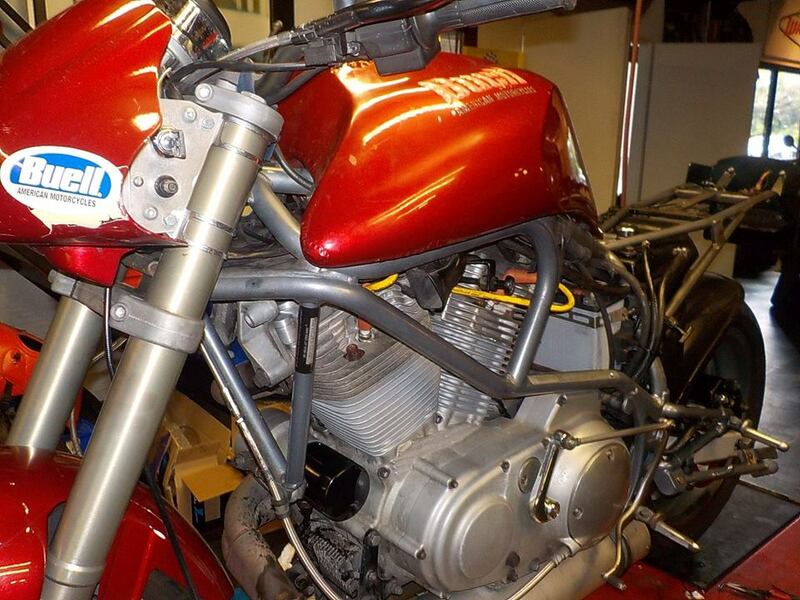 very easy with the engine mount off ;-) — at Twin Motorcycles Buell Support forever. 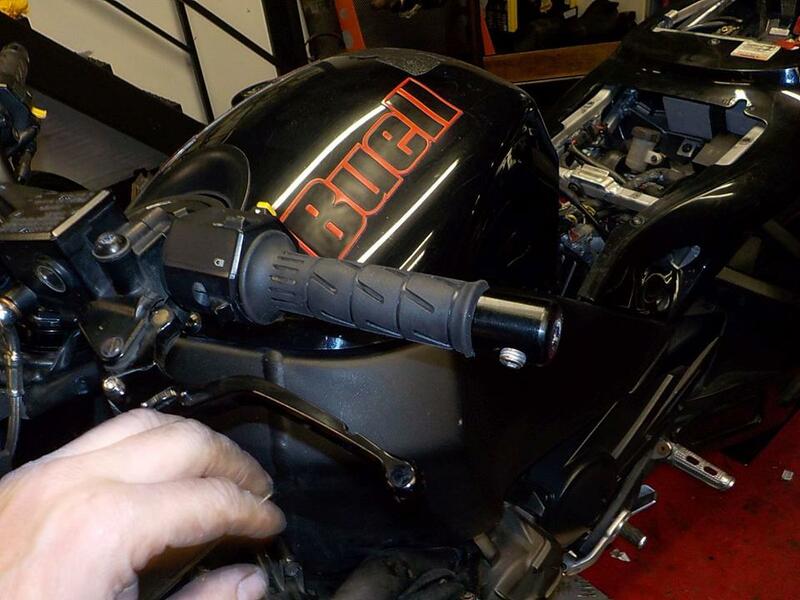 new umbrella breahter valves in the covers — atTwin Motorcycles Buell Support forever. 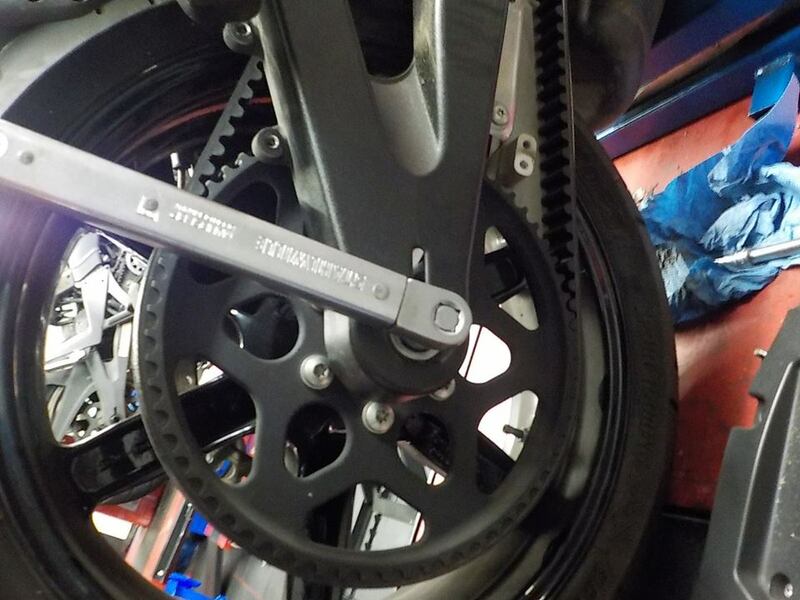 spacer in — at Twin Motorcycles Buell Support forever. 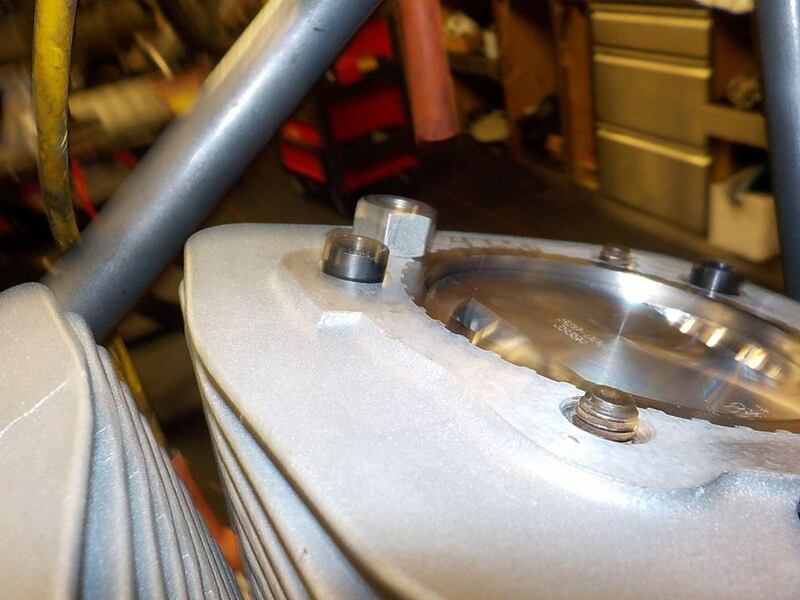 rear rocker box on — at Twin Motorcycles Buell Support forever. 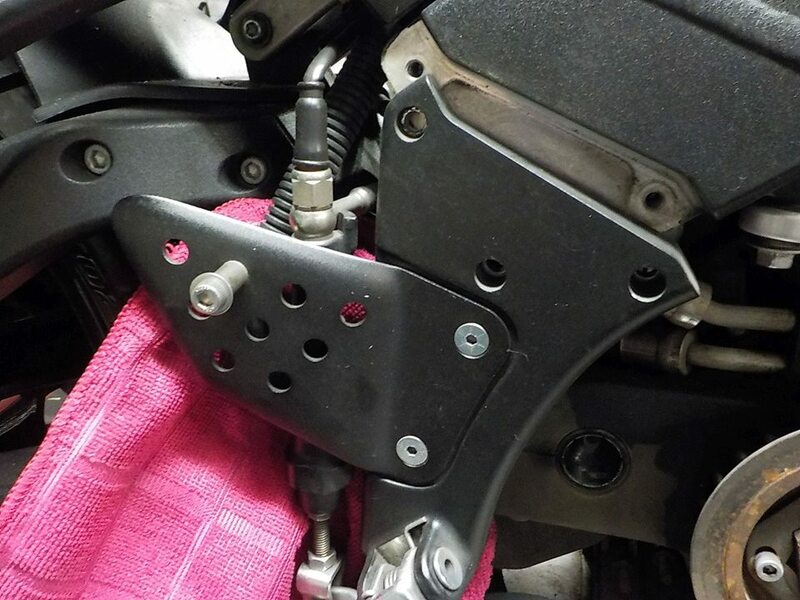 for the cover the low tool is very usefull — at Twin Motorcycles Buell Support forever. 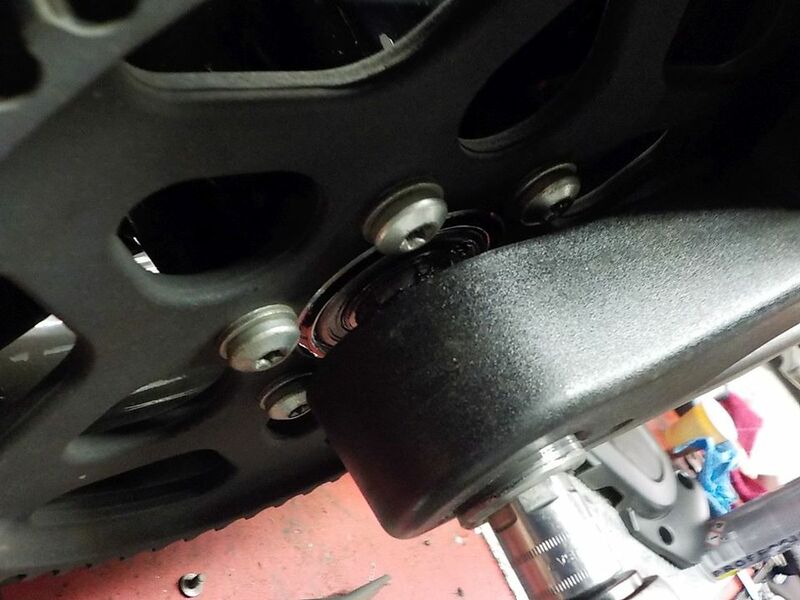 front mount, back on.. — at Twin Motorcycles Buell Support forever. 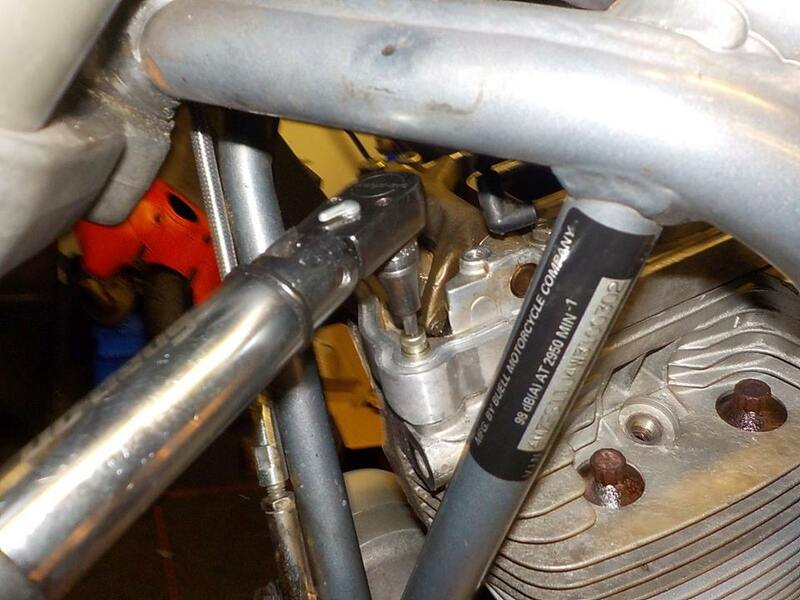 you seen the markings the bolts had lost some tension — at Twin Motorcycles Buell Support forever. 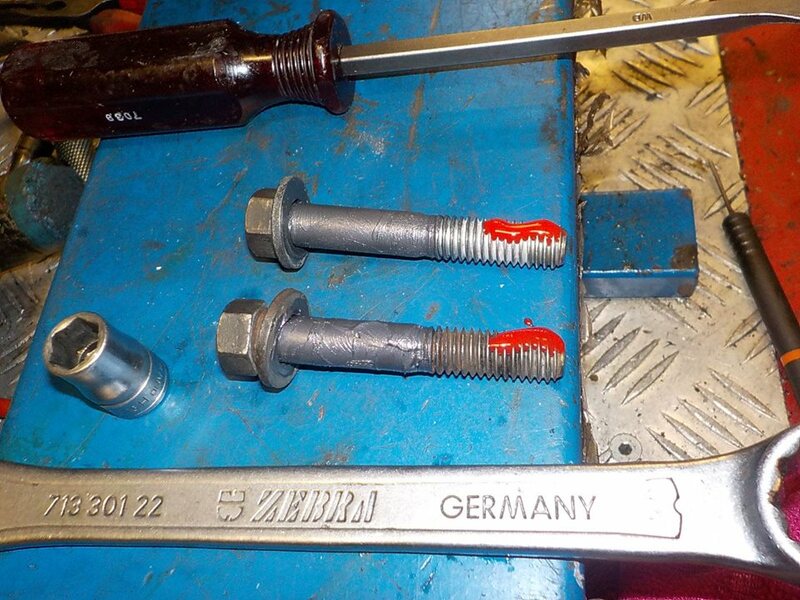 so clean .. lube the shanks and red loctite on the threads — at Twin Motorcycles Buell Support forever. 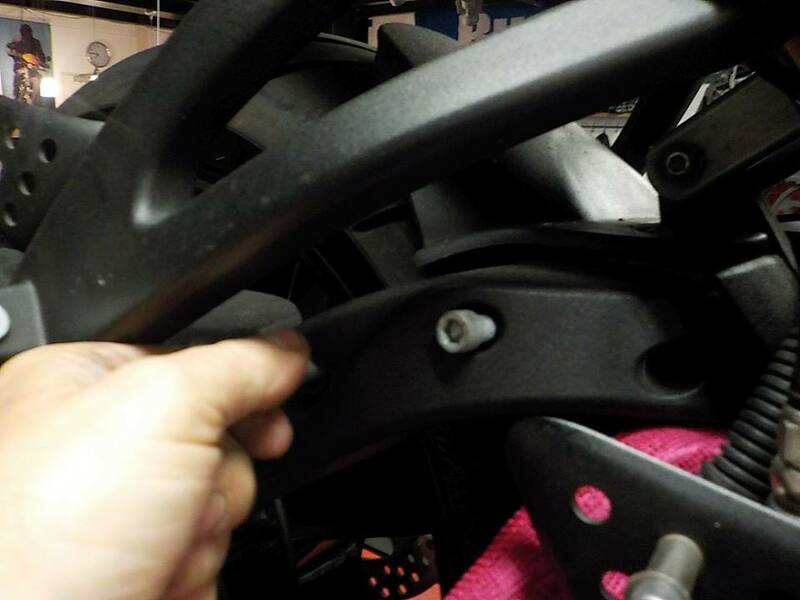 front mount in — at Twin Motorcycles Buell Support forever. 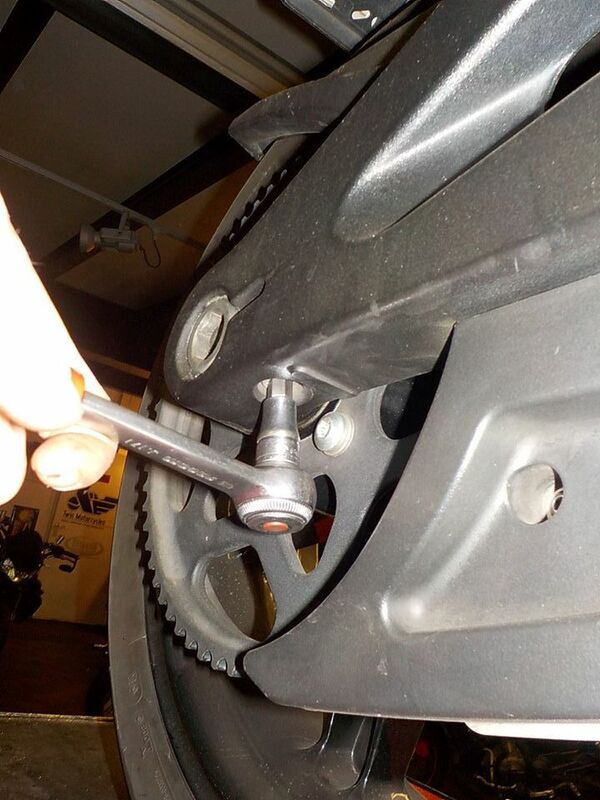 and center bolt on — at Twin Motorcycles Buell Support forever. 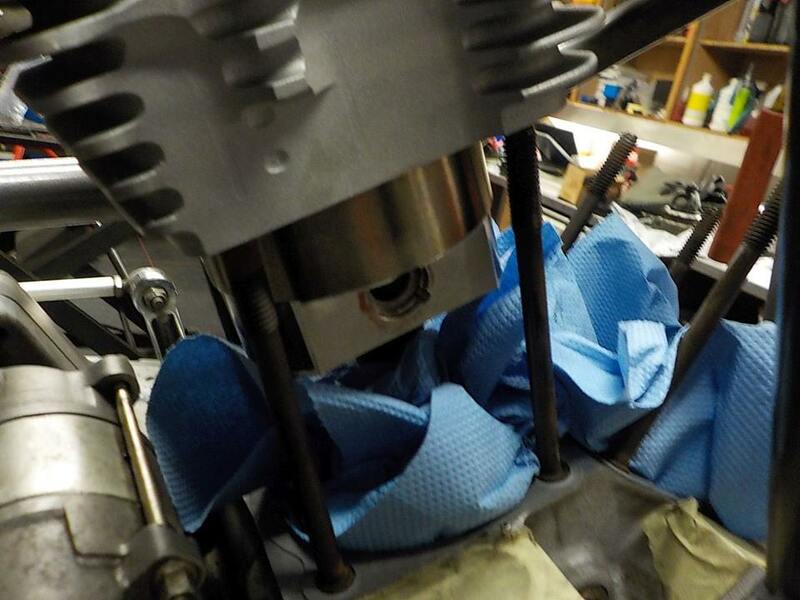 intake manifold back on — at Twin Motorcycles Buell Support forever. 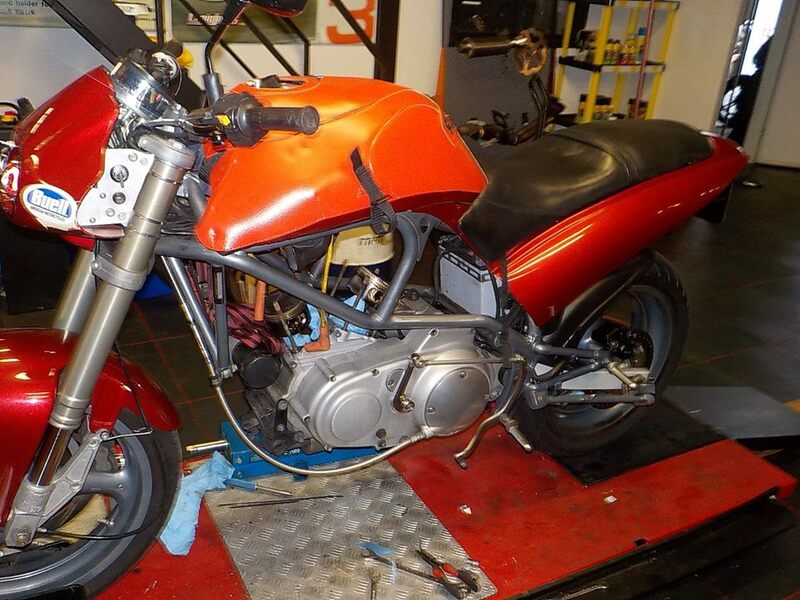 one of the alst heat cycles before dyno — at Twin Motorcycles Buell Support forever. 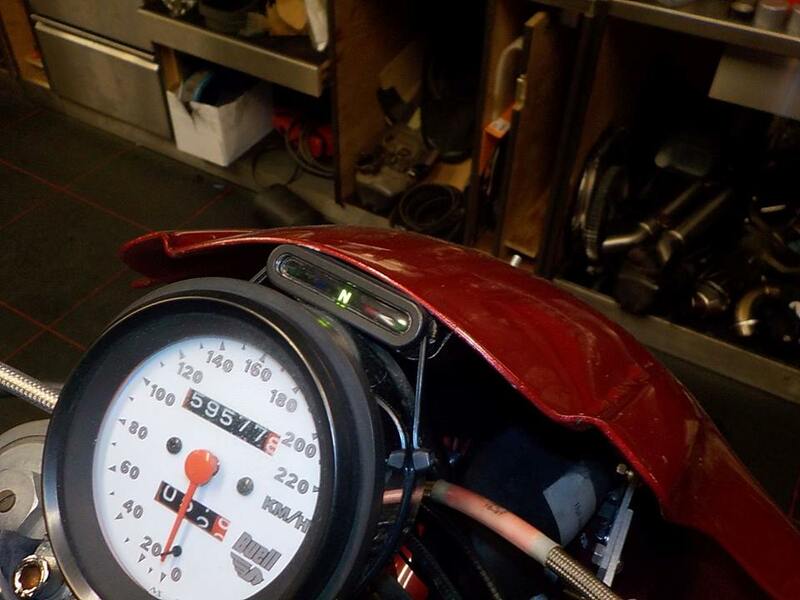 oil pressure meter is working :-) — at Twin Motorcycles Buell Support forever. 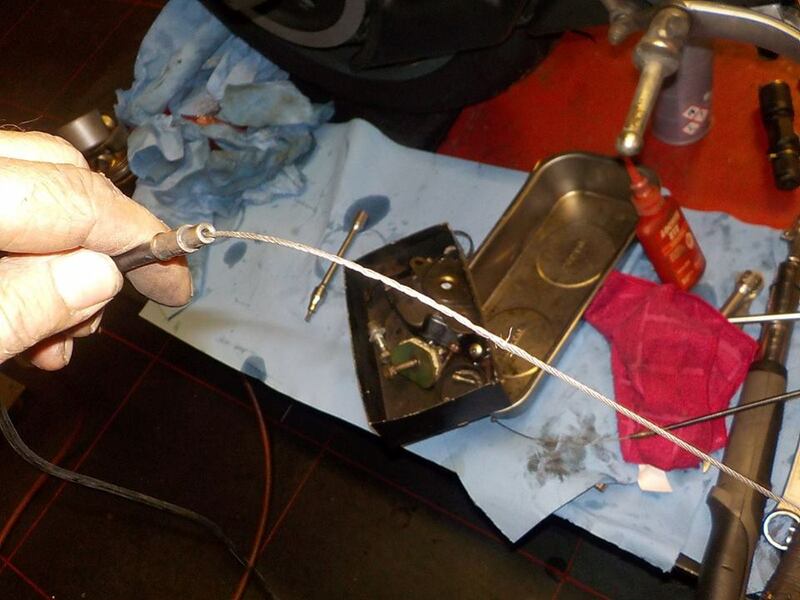 on the S3 needed a new throttle cable to — at Twin Motorcycles Buell Support forever. 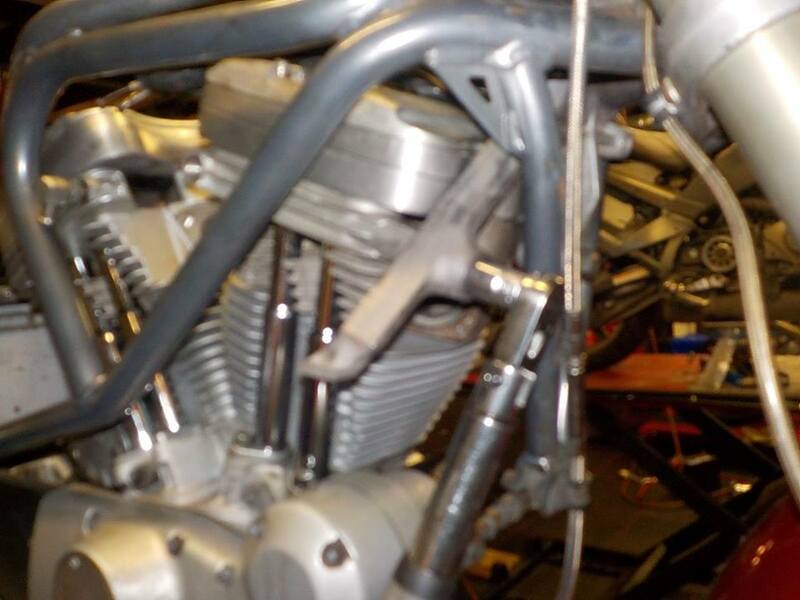 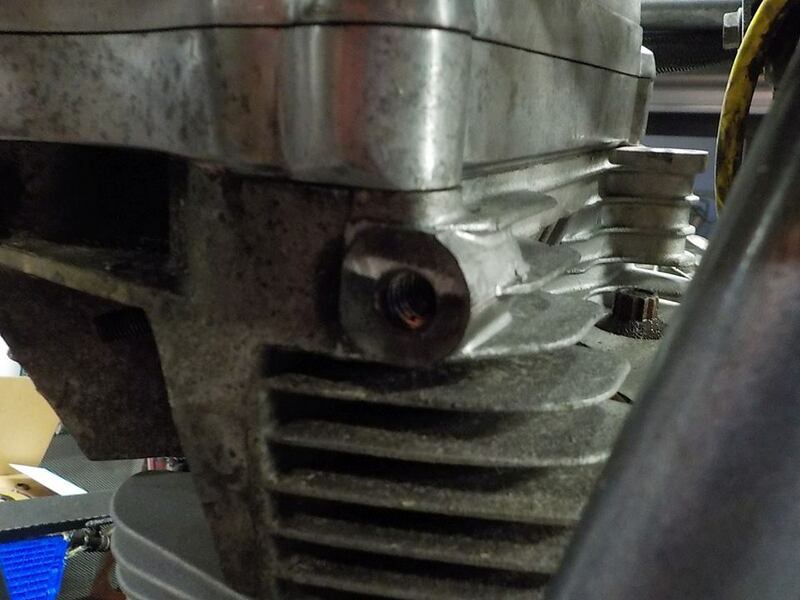 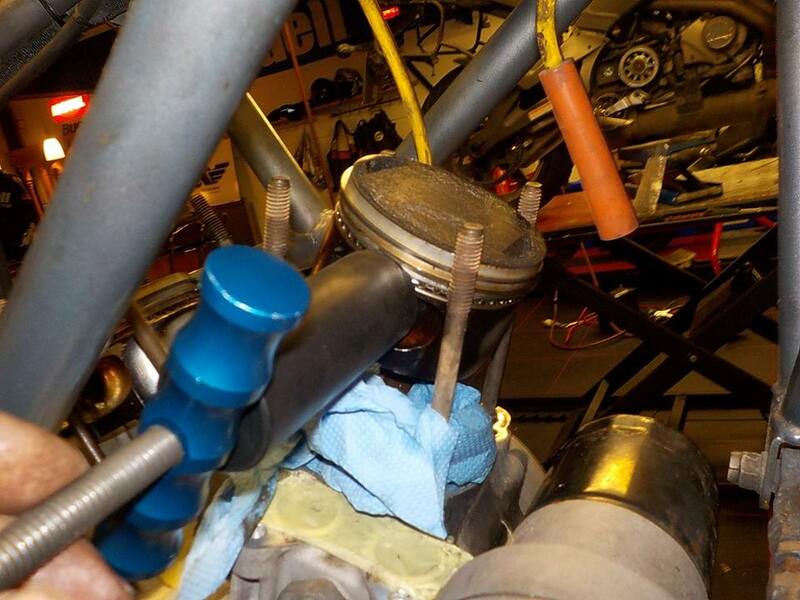 breather bolts in.. with some hydro loctite for sealing— at Twin Motorcycles Buell Support forever. 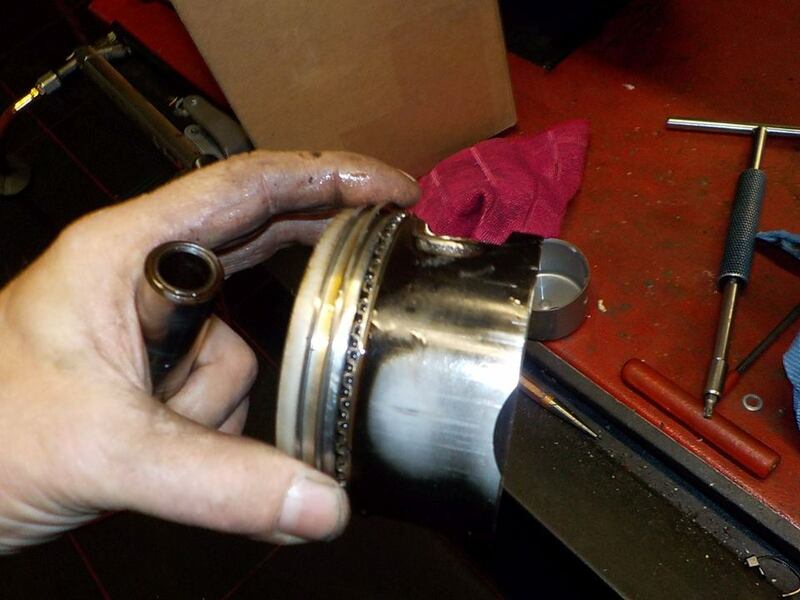 new exhaust gaskets in — at Twin Motorcycles Buell Support forever. 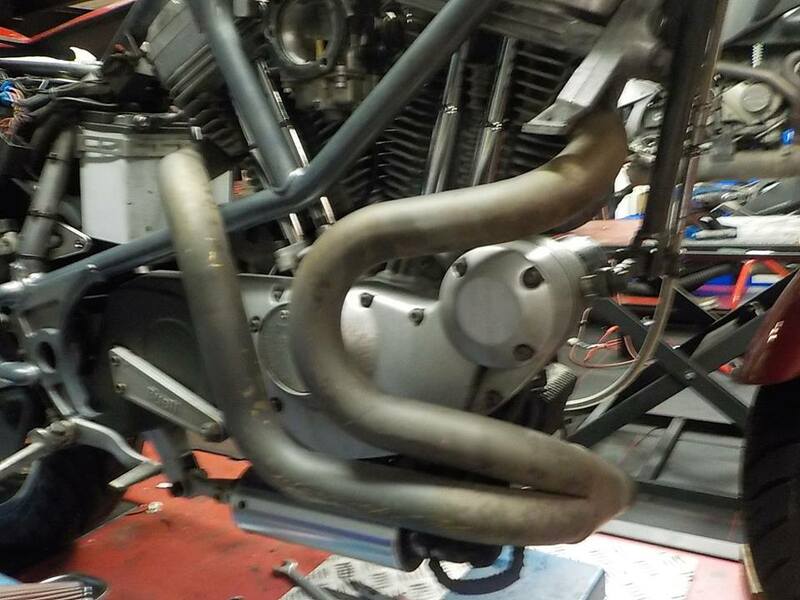 and header mounted — at Twin Motorcycles Buell Support forever. 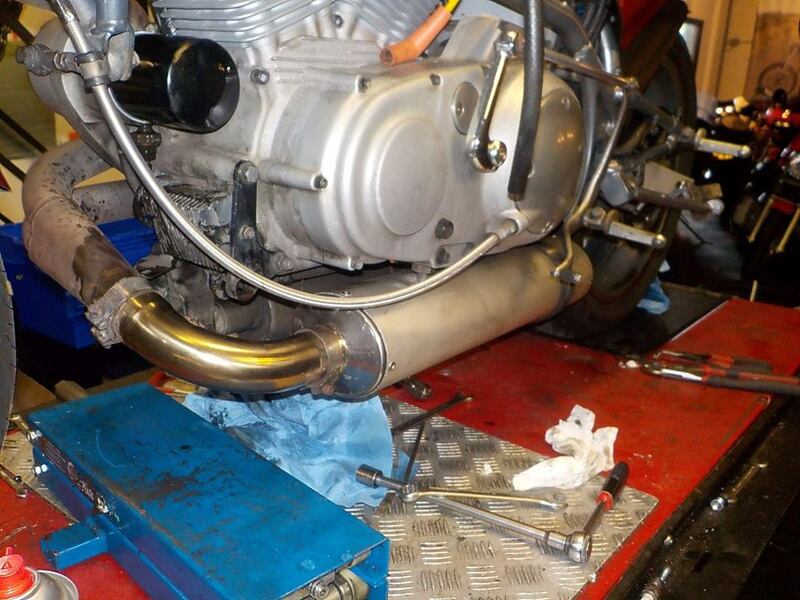 exhaust on — at Twin Motorcycles Buell Support forever. 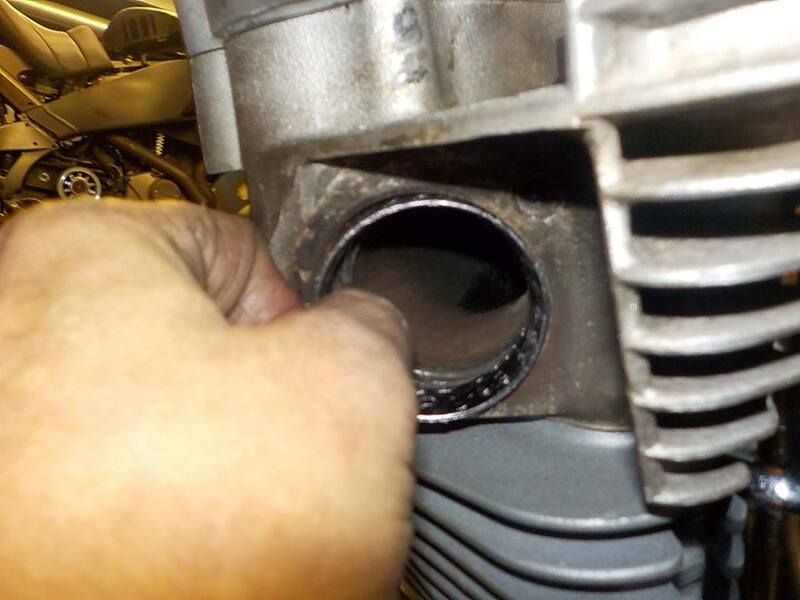 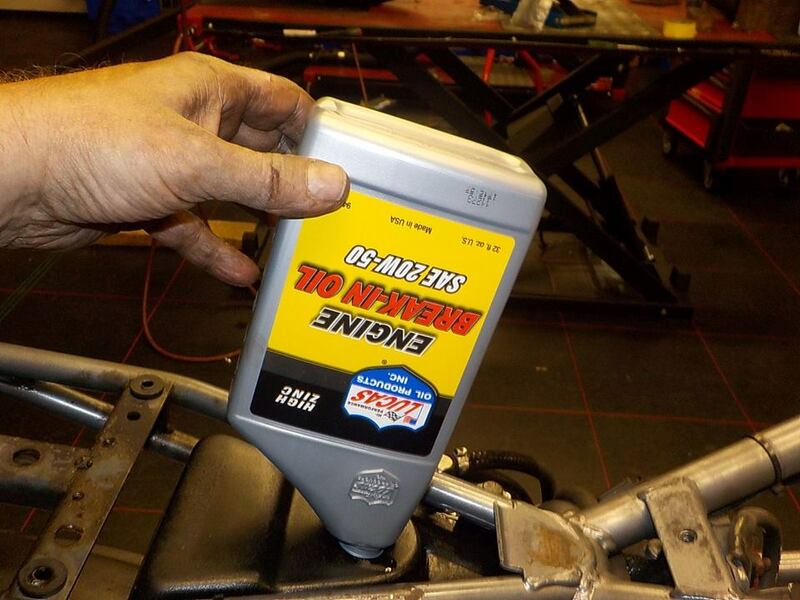 break in oil in the tank — at Twin Motorcycles Buell Support forever. 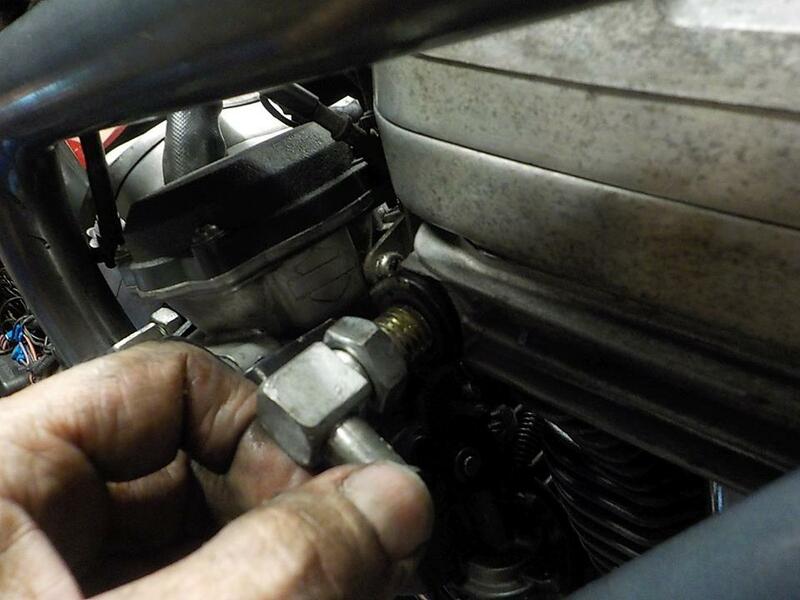 pumping untill oil pressure — at Twin Motorcycles Buell Support forever. 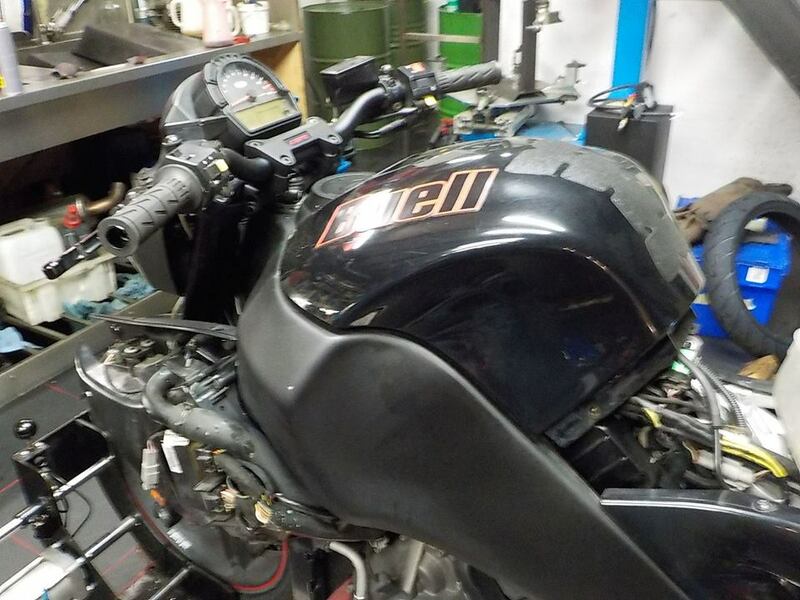 ready for first start tomorrow morning — at Twin Motorcycles Buell Support forever.